Christmas in Las Vegas, Nevada is a busy time with both vehicle foot traffic as can be seen in these pictures. Vegas Strip, Las Vegas, Nevada, USA, North America. 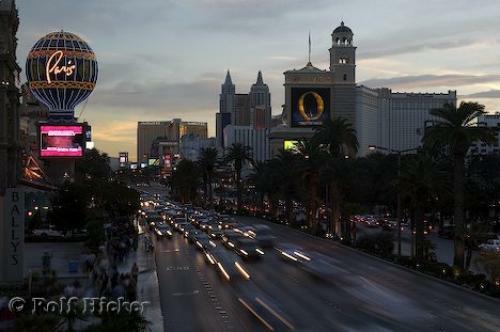 Photo of traffic racing along the Vegas Strip in Las Vegas, Nevada, USA.